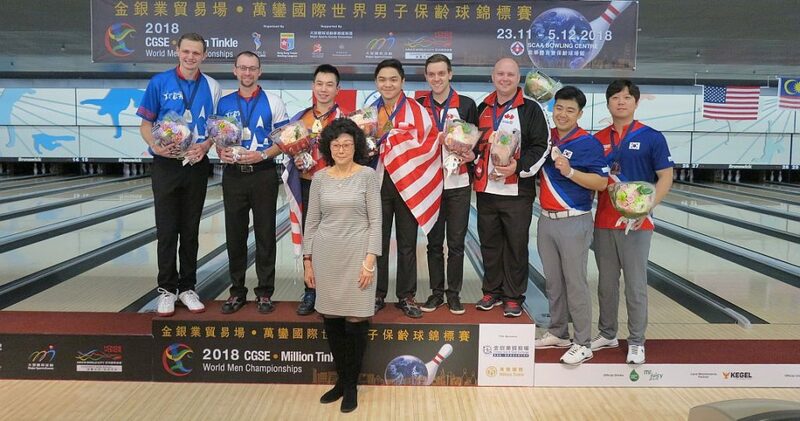 Third seeded Adrian Ang and Tun Hakim of Malaysia (l-R) defeated top seeded EJ Tackett and Andrew Anderson, United States, 433-370, to win the gold medal in Doubles in the 2018 CGSE • Million Tinkle World Men Championships at South China Athletic Association (SCAA) bowling center in Causeway Bay, Hong Kong, China. 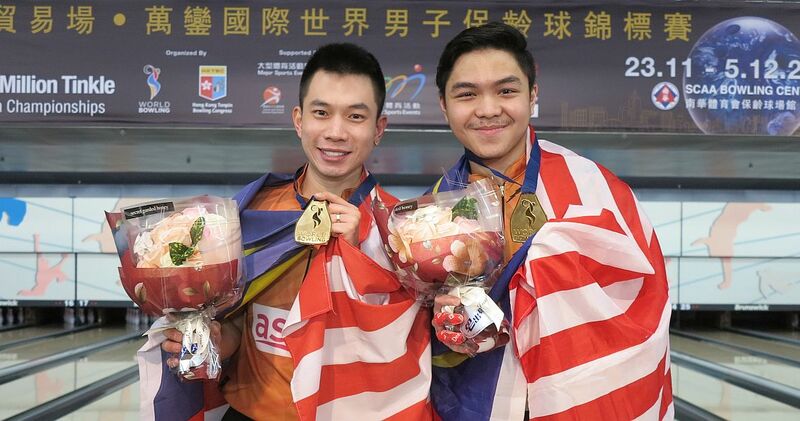 It was the second gold medal for Malaysia in this Championships after Rafiq Ismail captured the Singles title yesterday. Ismail’s victory was the first for the Malaysian men at World Championships since winning the trios gold medal in 1979. 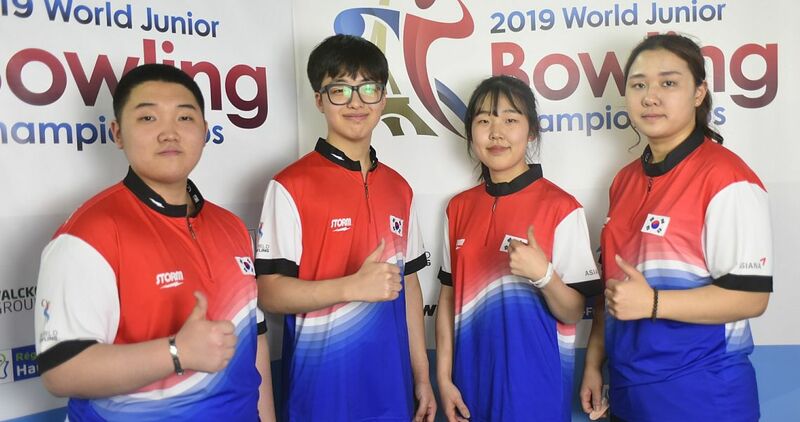 The live TV finals featuring eight right-handers started Sunday night at 18.30 Hong Kong Time on lanes 35 & 36 with the same TV set-up to be used for all five finals (singles, doubles, trios, teams and masters) Dec 1-5. 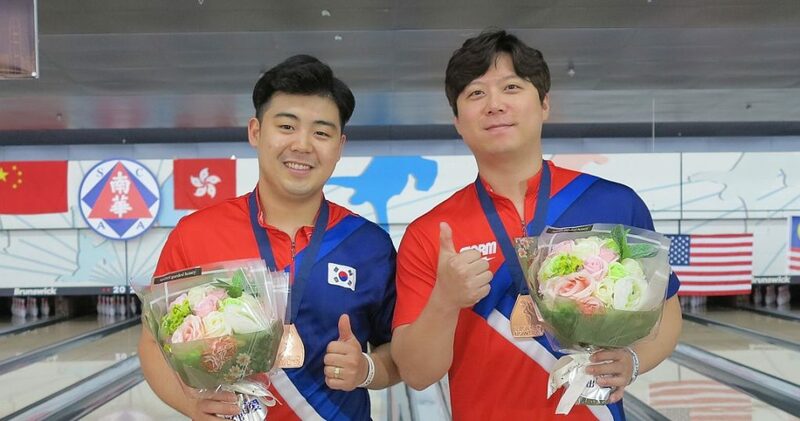 In the opening match, Tackett, 26, and Anderson, 23, the 2016 and 2018 Professional Bowlers Association Player of the Year, making their debut for Team USA at a World Championships, squared off with two of the most experienced players in the world, South Korea’s Park Jongwoo, 27, and Kim Kyungmin, 34, (l-r) both multiple World, Asian Games and Asian Championships gold medalists. 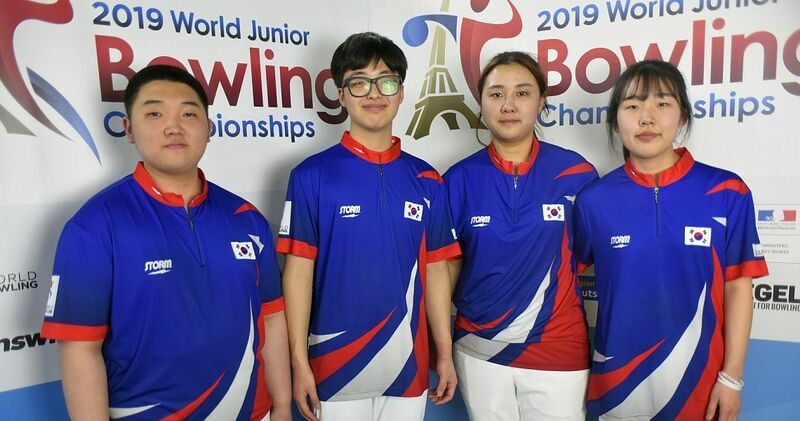 While the Koreans opened three times in the first two frames, Anderson came out of the gates with three strikes to give the Americans a 55-pin lead and they never looked back. 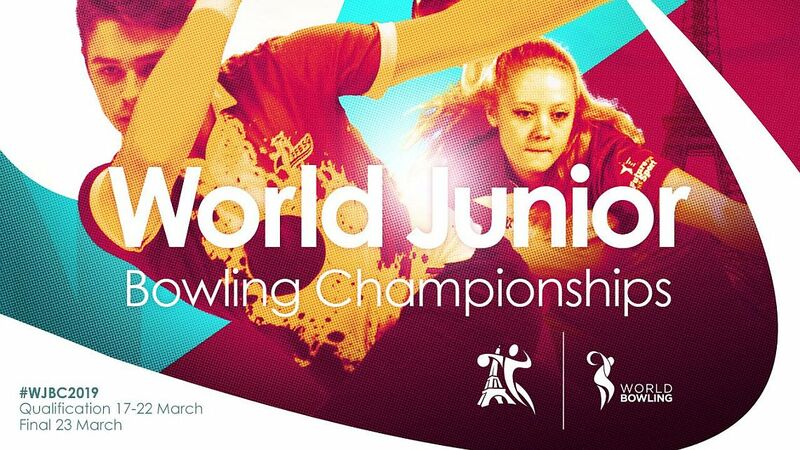 Tackett, who started with three spares and one strike in the second frame, took over from the fifth frame and connected for eight consecutive strikes to put the match away well before the final frame, 495-377. In the other semi-final match, long-time Malaysian national team member Ang. 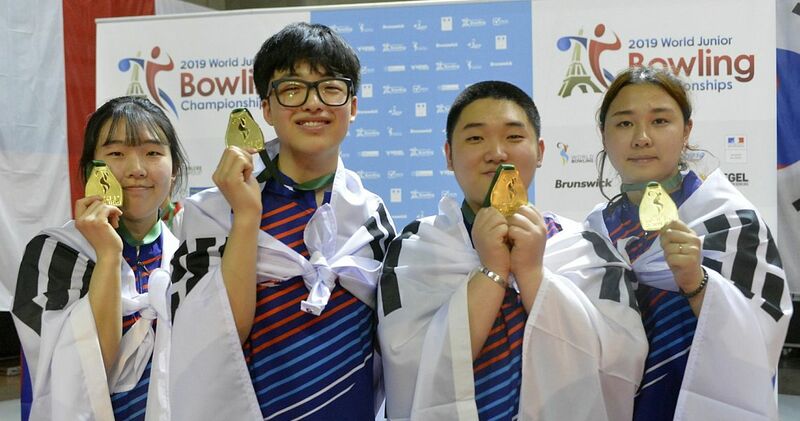 30, and 19-year-old Hakim, gold medalists in Singles at the 2017 Asian Youth Tenpin Bowling Championships in Manila, Philippines, met a pair of world champions and the reigning World Games Doubles champions, Dan MacLelland and Francois Lavoie from Canada. 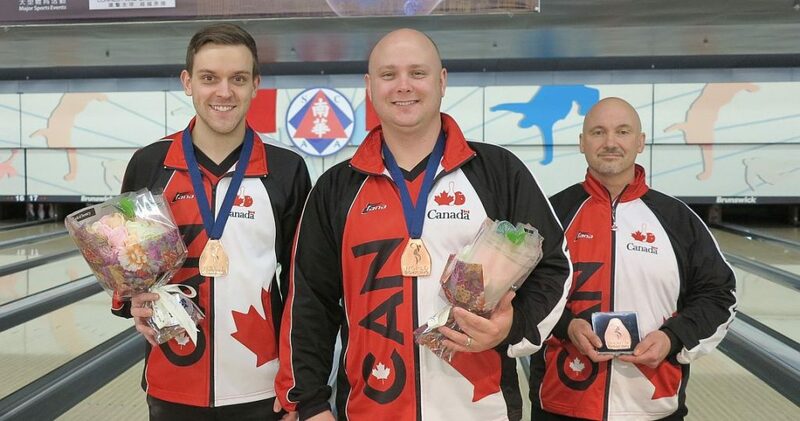 MacLelland, 33, won the gold medal in Singles at the World Men Championships in Abu Dhabi, UAE, and added a silver medal in the Singles finals yesterday. Lavoie, 25, the 2016 U.S. Open winner and the 2016 PBA Rookie of the Year, owns two gold medals at World Championships, in Trios in 2013 and in Masters in 2017. Ang bowled clean game (196) but was unable to strike on the left lane (#35), Lavoie had an open and one double (184), while MacLelland in frames 4 to 7 for 228, but it was Hakim, who made the difference. 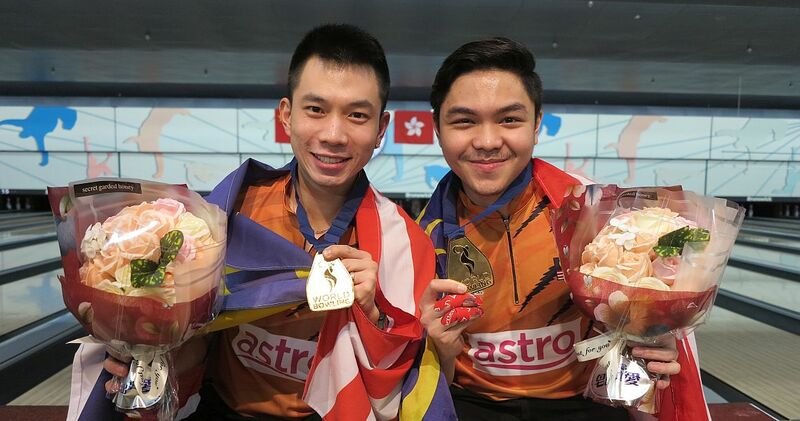 The powerful youngster struck on his first five shots, failed to convert the 2-10 split in the sixth and added five more strikes and an eight-count on his fill ball for 262, to give the Malaysians a 458-412 victory. 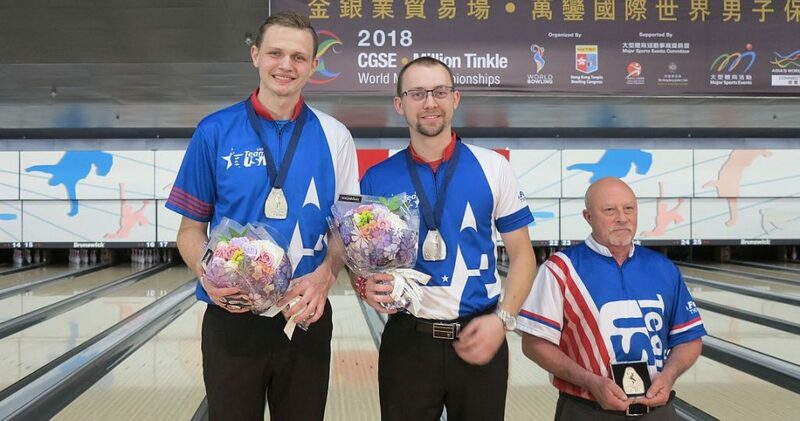 In the title match, Anderson and Tackett (l-r, with Team USA head coach, Rod Ross), who averaged almost 230 in the preliminaries four days ago, managed only one double each and suffered three splits, Anderson two and Tackett one, which all resulted in open frames. On the Malaysian side, Hakim stayed clean and rolled a four-bagger from frame 5, while Ang failed to convert a big split in his sixth frame, but rebounded with a turkey in frames 7, 8 and 9 to claim the gold medal, 433-370. The Americans received the silver medal. Canada and South Korea both got bronze. 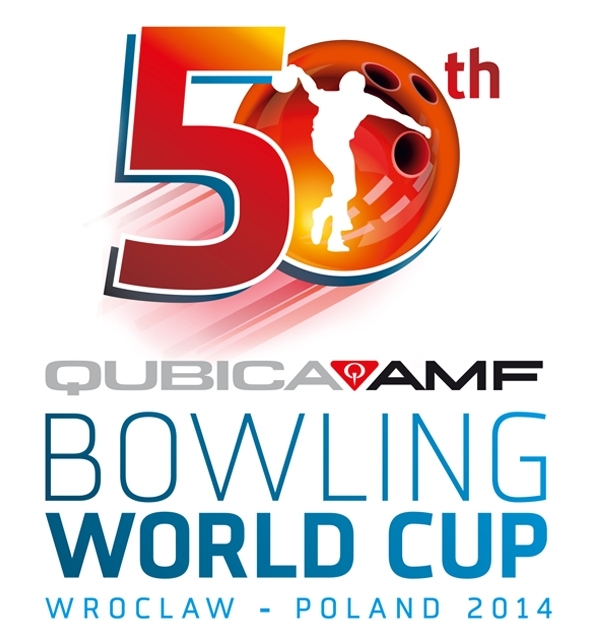 Action at the SCAA bowling center shifts to the five-player team preliminaries. 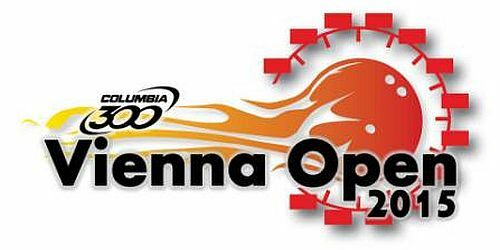 The top half of the field after Saturday’s opening three-game block (places 1 to 26) will bowl its final three games of team Monday, followed by the trios semifinals and final at 18.00. 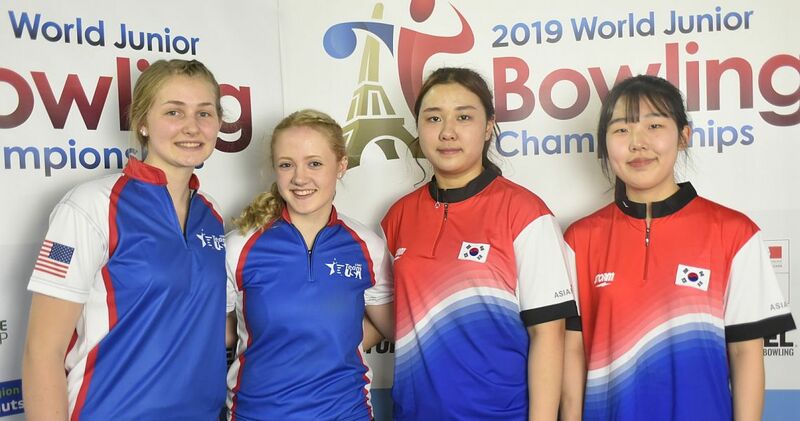 The final three games in the Team event also determine the medals in all-events (24-game total of singles, doubles, trios and team preliminaries) with the medal ceremony to be held Monday at 16.30 HK Time. 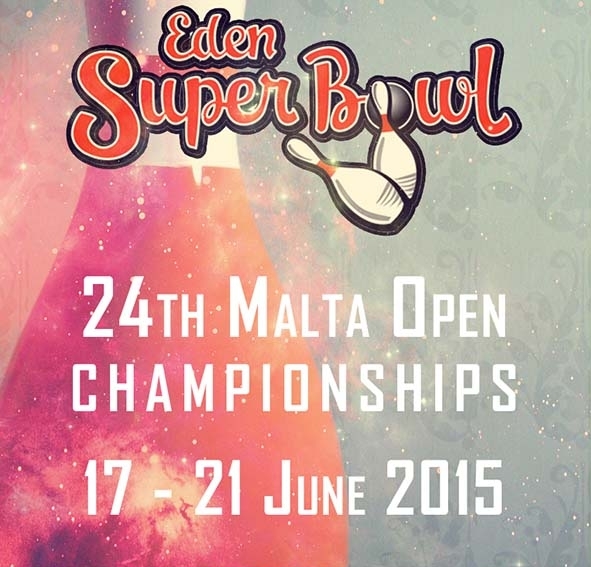 The top 24 in All-Events advance to the Masters finals. Ang (205) / Hakim (228) def. Tackett (196) / Anderson (174), 433-370.